American Colleges & Universities (AAC&U) February 23, 2017 – A groundbreaking approach to assessing student learning created and spearheaded by the AAC&U shows it is possible to evaluate undergraduate students’ achievement without relying on standardized tests and by using existing material. In On Solid Ground, a report released today, AAC&U shares the results from the first two years of data collection for the VALUE (Valid Assessment of Learning in Undergraduate Education) initiative, a nationwide project that examines direct evidence of student learning. It represents the first attempt to reveal the landscape of student performance on key learning outcomes—Critical Thinking, Written Communication, and Quantitative Literacy—that educators, employers, and policy makers agree are essential for student success in the workplace and in life. Beginning in Fall 2017, students will be able to "reverse transfer," picking up the associate degree they earned along the way while staying on track toward their bachelor's degree. Boston, MA – September 6, 2016 – Starting today, Massachusetts students and families have access to a new, full-service web portal that will allow them to explore a wide range of academic offerings at the state’s public colleges and universities and chart a course to an affordable bachelor’s degree through transfer from a community college to a state university or University of Massachusetts campus, the Baker-Polito Administration announced today. The new MassTransfer web portal will, for the first time, allow the Commonwealth’s high school and college students to identify and compare a wide range of degree programs, transfer options, and college costs at all twenty-eight public undergraduate campuses. They will be able to see what is required to transfer seamlessly between campuses, including course-by course “degree maps” available for some majors. They will also be able to use a savings calculator to find the typical savings associated with earning an “A2B” – associate to bachelor’s – degree. The portal’s features also include a detailed description of the three different transfer options available to students, a course-to-course equivalency database to allow them to see exactly how various course credits will transfer, and an additional tool to view cost savings associated with an A2B degree earned through the Commonwealth Commitment program, announced in April by Governor Baker, Lieutenant Governor Polito, and the leaders within public higher education. Through the Commonwealth Commitment program, students who enroll full-time at one of the state’s 15 community colleges will be able to transfer to a state university or UMass campus and graduate with a bachelor’s degree in one of a number of select programs. They must maintain a 3.0 cumulative grade point average and graduate in no more than four and a half years. Students in the program will realize substantial savings off the “total sticker price” of a traditional bachelor’s degree, qualifying for a freeze in tuition and mandatory fees, 10% per-semester rebates, and a full tuition credit in their last two years of school worth an average of $1200. April 21, 2016 — Governor Charlie Baker and Lieutenant Governor Karyn Polito joined public higher education leaders today to announce the Commonwealth Commitment, an innovative college affordability and completion plan to help more students achieve the dream of a college degree. The Commonwealth Commitment commits every public campus to providing 10% rebates at the end of each successfully completed semester to qualifying undergraduate students, in addition to the standard MassTransfer tuition waiver received upon entering a four-year institution from a Community College. Students who meet the program requirements will, depending on the transfer pathway they choose, be able to realize an average savings of $5,090 off the cost of a baccalaureate degree. This plan is the first agreement of its kind in the nation and was signed by University of Massachusetts President Marty Meehan, Worcester State University President Barry Maloney and Middlesex Community College President James Mabry, representing the three segments of the public higher education system, and Higher Education Commissioner Carlos E. Santiago at a ceremony held this morning at Middlesex Community College. As part of the Commonwealth Commitment’s goal to increase cost savings and predictability, tuition and mandatory fees will be frozen for program participants as of the date they enter the program. Students will begin their studies at one of the state's 15 community colleges, enrolling in one of 24 Commonwealth Commitment/Mass Transfer Pathways programs that will roll out in fall 2016 (14 programs) and fall 2017 (10 additional programs). They must attend full-time, and must maintain a cumulative GPA of 3.0. After earning an associate's degree in two and a half years or less, students will transfer to a state university or UMass campus to earn a baccalaureate degree. February 22, 2016 — A new statewide initiative aimed at closing the opportunity gap among male students by partnering local school districts, community organizations and public colleges will launch on Friday, February 26, 2016 at Framingham State University. 100 Males to College will provide a comprehensive support structure to a cohort of 100 young male students to help them successfully graduate from high school, gain entry to college and earn a post-secondary degree. The support structure is an asset-based youth development model that embraces culture, identity and community. One hundred male sophomore and junior students from Framingham High School and Keefe Tech have been identified and selected to participate in the program, which is funded by the Massachusetts Department of Higher Education. The students will meet at Framingham State University’s McCarthy Center (100 State Street, Framingham) at 8:30 a.m. on Friday, February. 26th, for a special kickoff event with Department of Higher Education Commissioner Carlos Santiago, Framingham State University President F. Javier Cevallos, MassBay Interim President Yves Salomon-Fernandez and representatives from other community partners. "We're launching 100 Males to College programs here in Framingham and in communities across the state because we need all students, regardless of race, gender or economic status, to see college as an essential part of their future," said Carlos E. Santiago, Commissioner of Higher Education for the Commonwealth. "At a time when Massachusetts employers face critical shortages of college graduates, it is both an economic imperative and a matter of social justice that we help more young men achieve the dream of a higher education and the chance to pursue a career of their choice." Other partners in the program include the MetroWest College Planning Center, MetroWest Boys and Girls Club, Metrowest YMCA, Jewish Family Services and Chyten Test Prep and Tutoring Framingham. Boston, MA – June 8, 2016 – The rate at which Massachusetts residents earn college degrees will pivot from growth to decline by 2022 unless the state’s public higher education system, which educates more than half of all undergraduates, is able to increase the number of students who enroll and earn diplomas, the Massachusetts Department of Higher Education reported today. The Degree Gap, the Department’s annual Vision Project report on the status of public higher education in the Commonwealth, was released at an event held at The Boston Foundation this morning. The report suggests that employers who are already having difficulty meeting current workforce needs in high-demand fields will face even greater challenges in the next few years, as the state’s high school population continues to decline at the same time that an estimated 660,000 college-educated workers plan to retire. Of those job openings requiring post-secondary education or training, two-thirds will require a college degree. Increasingly, the higher education system will also be called upon to leverage its traditional role of offering associate’s and bachelor’s degrees by also offering certificate and continuing education programs to ensure that students develop career skills needed to be successful. The demographic challenges facing the state mean that public colleges and universities are likely to fall short of meeting the need for new associate and bachelor’s degrees by 55,000 to 65,000. The Degree Gap predicts that 80% of those “missing” degrees needed to fill the state’s talent pool in the next decade will be at the baccalaureate level or higher. The report’s findings align with several recent economic forecasts that project that a lack of available talent may constrain economic growth. Although the Commonwealth has more adult degree-holders than any other state—51.5 percent of adults ages 25–54—the state is projected to end the decade with fewer working age college-educated residents than it began with unless the rate of degree production improves. May 7, 2015 – BOSTON – A pilot program to overhaul remedial math programs at Massachusetts’ public colleges and universities is showing early signs of success, with more students placing directly into credit-bearing coursework and then moving on to complete those courses at better-than-expected rates, the Department of Higher Education reported today. 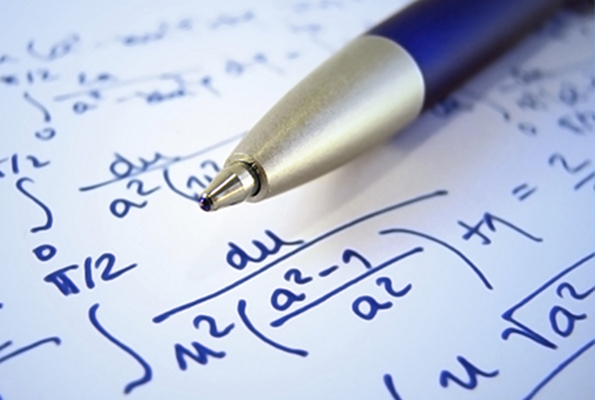 A preliminary analysis of campus data from University of Massachusetts, state universities and community colleges shows that students who placed into college-level math courses based on their cumulative high school GPA are, at some campuses, completing credit-bearing math courses at rates comparable to or higher than those of students whose placements were based on their Accuplacer® scores. Since 1998, public campuses in Massachusetts have relied on Accuplacer© as the primary means of determining placement in entry-level math and English courses. National research indicates that high school GPA is a better predictor of success in college, and that placements based on Accuplacer scores may lead to too many students being placed into remediation. Currently, more than one in three Massachusetts high school graduates who enroll at a public college or university place into developmental education courses. At the University of Massachusetts Boston, where the number of developmental math course sections has been cut in half and the number of students enrolled in such courses cut by two-thirds from fall 2013 to fall 2014, data suggest that student success in completing entry-level, for-credit math courses is as strong, if not stronger than in prior years when students were placed into remediation classes, Maura Mast, Associate Vice Provost for Undergraduate Studies at UMass Boston, told members of the Board of Higher Education in a presentation last week. UMass Boston plans to discontinue its developmental education program beginning in the fall. At the state’s community colleges, where the need for remedial math is most acute, only 18 of every 100 students enrolled in such courses complete a credit-bearing course within two years. The progress reports delivered to the Board of Higher Education suggests that campus efforts to overhaul remedial math instruction are producing stronger student outcomes. Data summarizing the recent progress can be found here. At Bristol Community College in Fall River, 86% of the students placed into college-level math based on a high school GPA of 2.7 of better went on to complete the course, compared with 68.8% of the students placed on the basis of their Accuplacer cut score. Even students with GPAs below 2.7% had higher course completion rates than the Accuplacer control group. “While using high school GPA and transcripts as a measure of preparedness might not be perfect, I feel that it is certainly a better measure than the Accuplacer exam and a step in the right direction,” said Dan Avedikian, Chair of the Math Department at Bristol. In 2013, amid growing concern that too few students ever move on from developmental coursework to complete credit-bearing courses and degrees, the Board of Higher Education authorized a one-year period of campus experimentation to overhaul developmental math programs. The Board’s Policy on Developmental Math gave campuses broad latitude to design changes, with some choosing to develop new curricula or utilize new placement methods, while others increased support services to students. Eighteen of the state’s 29 public campuses have launched pilots using high school GPA, or GPA combined with other standards, such as SAT scores, to determine student placement in math courses in lieu of the more widely used Accuplacer placement test. The goal of the BHE policy is to increase by 20% the number of students completing a college-level math course within two years of enrollment. 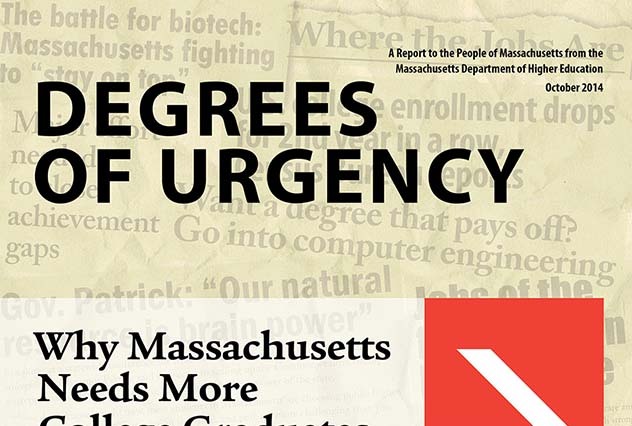 In October 2014, the Department of Higher Education (DHE) released the third Vision Project annual report, Degrees of Urgency: Why Massachusetts Needs More College Graduates Now. With an oncoming decline in the size of Massachusetts’ adolescent population, the report projects fewer students enrolling in and graduating from Massachusetts’ public colleges and universities in the coming years. Unless offset by improved performance, this will lead to a shortage of tens of thousands of skilled college graduates needed for the workforce. At a February 27 Vision Project Conference, DHE convened 250 faculty, staff and trustees of the public campuses to advance the “Big Three” agenda. Conference planners identified 15 specific, innovative strategies underway on Massachusetts public campuses to achieve the “Big Three” goals, and colleagues around the system shared successful approaches to implementing each of them. Work will continue this summer with a program of cross-campus collaborations designed to facilitate the scaling of effective strategies across the system. FY2012 With a $2.5 million line item in the Commonwealth’s FY2012 budget, the Fund provided grants to 18 campuses, along with a goal of encouraging long-term sustainability offunded initiatives through declining balance continuation grants: 2/3 of the original grant in Year 2 and 1/3 in Year 3. FY2013 & FY2014 The Legislature increased funding to $7.5 million for FY2013 and FY2014, greatly expanding the impact of the funds. DHE was able to issue grants for 41 new projects as well as the smaller continuation grants for previous years’ projects. In addition, DHE was able to launch a system-wide initiative to facilitate transfer between two-year and four-year institutions. FY2015 Due to funding constraints, the Fund was cut back to $3.25 million, and grants were only awarded to continue projects from FY2013 and FY2014, including the system-wide transfer project. DHE hopes that, in FY2016, the Fund will be restored to its FY2014 level so that it can be used to scale effective “Big Three” strategies across the system. With a whopping 2600 unique and separate campus articulation agreements in place across the Commonwealth, students and their academic advisors can find it difficult, “if not impossible” to navigate the transfer system, DHE Senior Deputy Commissioner for Academic Affairs Carlos Santiago told the Board of Higher Education on Tuesday. The good news for students, as well as sending and receiving institutions, is that Massachusetts is now on the way to replacing a patchwork system of individual transfer requirements with an integrated system that will allow for seamless transfer, particular from community colleges to state university and UMass campuses, while also promoting the Vision Project “Big Three” goals aimed at boosting college completion rates, Santiago said. The BHE heard a detailed update on Phase One of the work to map course equivalencies for 6,000 foundational courses in six disciplines: Biology, Chemistry, Economics, History, Political Science, and Psychology. Complete transfer pathway maps are slated to be completed this spring. Phase Two work on ten more disciplines—Business, Criminal Justice, Communications and Media Studies, Computer Science, Early Childhood Education, English, Liberal Arts, Mathematics, Sociology and STEM foundations—is slated to be completed by the end of 2016, and together the two phases will capture 70 percent of transfer students’ majors. The Department of Higher Education is building a new web-based interface, backed by a course-to-course equivalency database, that will allow transfer students to map their route to a bachelor's degree with fewer detours, lost credits and unexpected costs. Santiago added that the new system will also be available for use as an advising tool, and to help academic planning teams design programs based on a full slate of state resources. Given the cooperation and involvement of campus faculty in designing the system, Santiago predicted that Massachusetts will be able to complete work on its transfer pathways without the need of a legislative mandate. The Massachusetts Comprehensive Assessment System (MCAS) does not indicate a student’s preparedness for post-high school success according to a report released today by the Massachusetts Business Alliance for Education (MBAE). 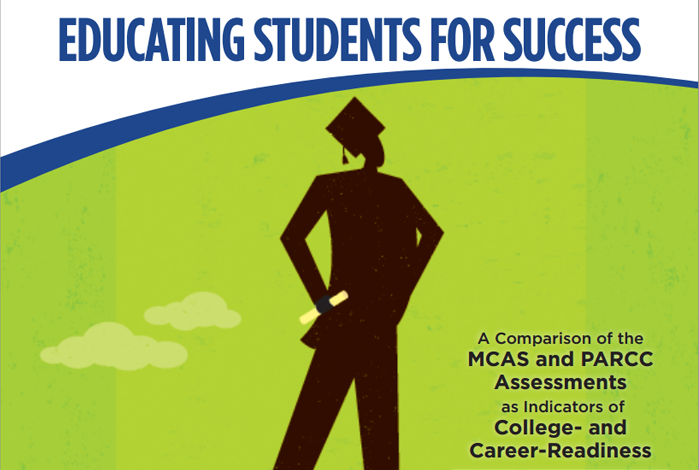 The lack of alignment with college and career expectations has resulted in high remediation rates at state colleges and universities and a widening “skills gap.” The report, Educating Students for Success: A Comparison of the MCAS and PARCC Assessments as Indicators of College- and Career-Readiness, is the first study to compare MCAS and PARCC (which stands for the Partnership for Assessment of Readiness for College and Careers) as indicators of readiness for credit-bearing college courses and the work force. Also, The Boston Foundation held a forum on January 14, 2015 to discuss the Common Core academic standards and PARCC. Education specialists and policy advocates considered what the new assessments might be and what they mean for schools in Massachusetts. Higher Education Commissioner Richard Freeland gave closing remarks. With Massachusetts facing projected shortages of high-skilled college graduates, the state's community colleges, state universities and UMass campuses plan to caucus at a working conference February 27th to share proven strategies for boosting college completion rates. The invitation-only conference marks the first time that the chief academic officers from every public campus in the Commonwealth will meet to develop a shared approach to the college completion agenda. Two hundred and fifty campus delegates will meet to advance the "Big Three" college completion goals outlined in the 2014 Vision Project report, Degrees of Urgency: Why Massachusetts Needs More College Graduates Now. The conference will also feature a keynote from Jim Peyser at his first major higher education convening since being appointed Secretary of Education. Conference planners have identified 15 strategies underway on Massachusetts public campuses to achieve the “Big Three” goals of 1) boosting college completion rates; 2) closing achievement gaps; and 3) attracting, retaining and graduating more students from underserved populations. Through a series of working sessions, campus attendees will learn from colleagues around the system about successful approaches to implementing each of the 15 strategies. In the afternoon each campus will meet as a team to build on the knowledge gained in the morning and develop a plan of action to further advance the strategies at their institution, and to put forth recommendations on how best to accomplish these goals as a system. These will be shared in a final plenary session with Commissioner Richard M. Freeland. Conference registration is at capacity and running a waiting list. For those unable to attend, findings and next steps from the conference will be made available on the Vision Project website. 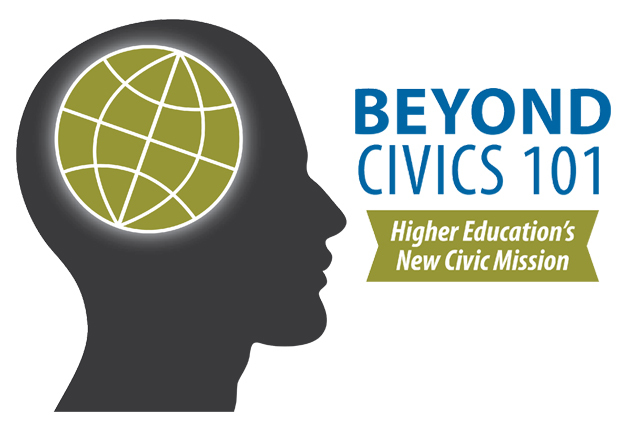 The Department of Higher Education (DHE) hosted the first Statewide Conference on Civic Learning on November 14, 2014 at the Edward M. Kennedy Institute. The conference featured keynote speaker Caryn McTighe Musil, Senior Scholar and Director of Civic Learning and Democracy Initiatives at the Association of American Colleges and Universities, and included breakout sessions that delved into critical aspects of the implementation of the Civic Learning Policy. BOSTON -- October 28, 2014 – At a time of rising demand for skilled college graduates in the Commonwealth, the Department of Higher Education’s third annual Vision Project report shows progress being made to raise graduation rates and close achievement gaps among public college and university students in Massachusetts, but also projects a shortage of skilled graduates needed to meet the needs of employers in key industry sectors that fuel economic growth, based on an expected drop in the state’s high school population in the coming years. “Degrees of Urgency: Why Massachusetts Needs More College Graduates Now,” was released this morning before a group of 275 business and civic leaders gathered at the Boston Foundation. The report outlines system and campus-level achievements aligned with the Vision Project goal of leading nationally among state systems of public higher education. June 6—Recently Pat Crosson, DHE's Senior Advisor for Academic Policy, and Bonnie Orcutt, DHE's Director of Student Learning Outcomes Assessment, were invited by the editor of Change: The Magazine of Higher Learning to prepare an article about the work in Massachusetts to develop a statewide program of student learning outcomes assessment that does not rely on standardized testing. The article, which also covers the initial work of the Multi-State Collaborative piloting a model, was published online and in hard copies of the May/June 2014 edition of Change. With support from the Davis Education Foundation, and in collaboration with 22 public campuses, in 2012–2013 the DHE developed and pilot-tested a Massachusetts plan for statewide learning outcomes assessment based on use of the Association of American Colleges & Universities’ LEAP (Liberal Education & America's Promise) VALUE (Valid Assessment of Learning in Undergraduate Education) Rubrics for written communication, quantitative literacy, and critical thinking. Also with Davis support, Massachusetts developed a partnership with eight other states, the State Higher Education Executive Officers (SHEEO), and AAC&U: the Multi-State Collaborative to Advance Learning Outcomes Assessment. 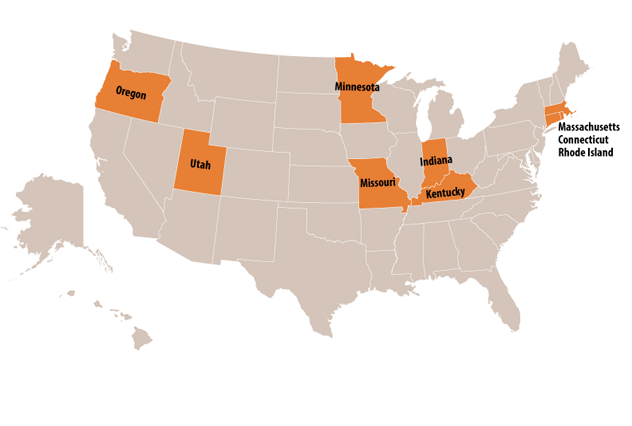 Currently underway in all nine states, with support from the Bill and Melinda Gates Foundation, is a pilot test of a learning outcomes assessment model that provides useful information for campuses and a basis for comparisons and public reporting on student learning that is essential for the Vision Project. For Massachusetts, this is our second pilot study of the plan for statewide assessment. Many faculty members, academic and assessment leaders, and campus presidents in Massachusetts and other states have been part of this effort, and it has received national attention as an alternative to standardized testing in higher education. June 17—Citing the need to address shortages of skilled employees in two distinctly different, high-demand industries—technology and home health care—the Massachusetts Board of Higher Education (BHE) has approved new workforce development plans to enhance educational opportunities for students and meet employer expectations, the Department of Higher Education announced today. The Technology Talent Initiative Workforce Plan (.PDF) is the first comprehensive statewide assessment of the technology sector’s workforce requirements, offering a detailed analysis of the scope and scale of the technology talent gap and the role of the public higher education system in addressing shortages. At its last meeting of the year at the Massachusetts College of Art and Design in Boston (MassArt), the BHE also approved the Massachusetts Allied Health Direct Care Workforce Plan to create “stackable credentials” for workers in community-based settings. 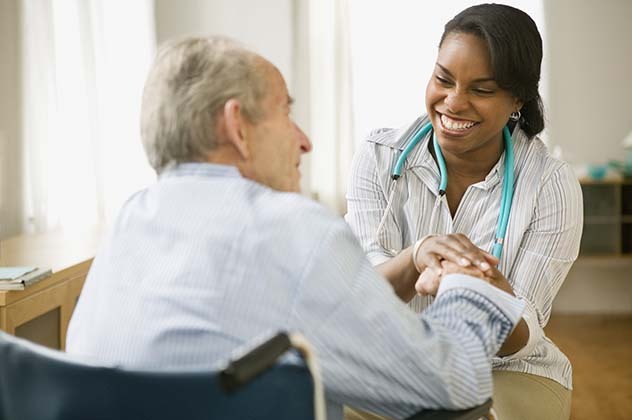 The largely female direct care workforce includes certified nurse assistants, medical assistants, personal care and home health aides, who typically work in low-wage, non-benefitted positions. Both plans build upon the Department of Higher Education’s innovative approach to workforce development, based on the creation of sector-specific workforce plans in collaboration with industry leaders, local employers, and campuses. The first of these plans focusing on the nursing profession led to the creation of the Nursing Education Transfer Compact (NETC), which supports attaining the goal of 66% of Massachusetts nurses holding Bachelor of Science in Nursing (BSN) degrees by 2020. May 8—The Massachusetts Board of Higher Education (BHE) has adopted a first-in-the-nation policy on civic learning for public college and university students and will work with the Commonwealth’s community colleges, state universities and University of Massachusetts campuses to incorporate civic learning as an "expected outcome" for undergraduate students beginning in the 2014-15 academic year, the Department of Higher Education announced today. 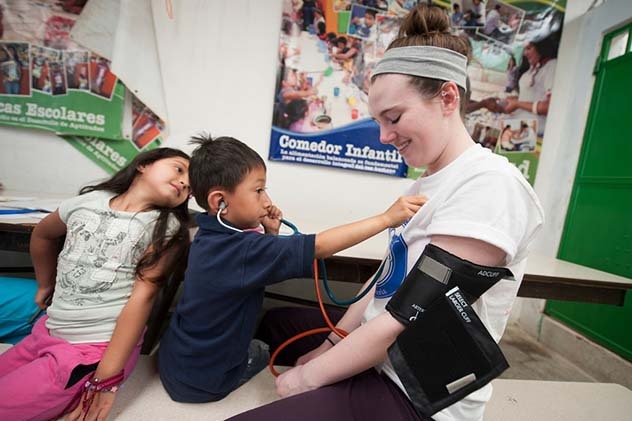 Photo: Westfield State nursing students participated in an international public health mission to Santa Maria de Jesus, Guatemala in March 2014. The goal was to supplement the classroom experience with public health field work addressing the issues of affordability and healthcare. Photo Courtesy David Fried/Westfield State University. December 10—With 38% of public college and university students enrolled in non-credit remedial coursework during their first semester in college, the Massachusetts Board of Higher Education has voted to encourage campus efforts to improve remedial math education, create new academic pathways for math instruction, and increase the number of students who are prepared to finish college and enter the workforce, the Department of Higher Education announced today. The Board approved a series of pilot initiatives, part of the Board’s Vision Project strategic agenda for public higher education, aimed at helping students advance more quickly to credit-bearing courses while obtaining the skills needed for college-level work. A task force convened by Higher Education Commissioner Richard M. Freeland reported in October that of the 11,000 community college students who took remedial math in fall 2010, 9,000 have yet to pass a credit-bearing math course. In Massachusetts, 60% of community college students, 22% of state university students, and 10% of UMass students take at least one remedial course, with the need for math remediation significantly outpacing that in writing and reading. Research indicates that students who are enrolled in remedial courses are much less likely to graduate from college.